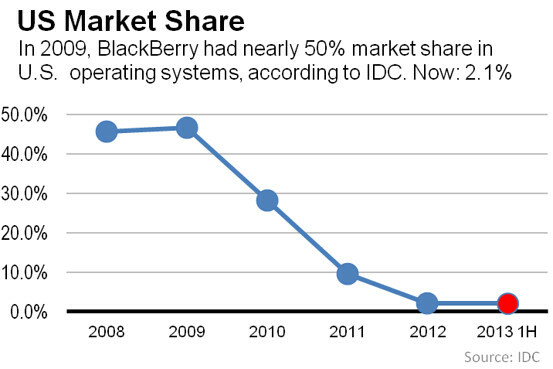 BlackBerry is all but gone. Fairfax Financial Holdings has offered to buy the company for a paltry $4.7 billion. 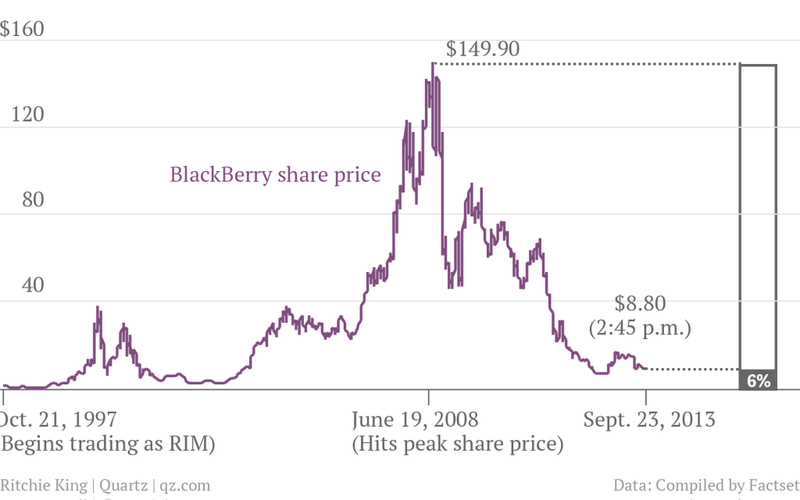 That's 6 percent of BlackBerry’s peak value, which it hit in 2008, as this Quartz chart beautifully shows. Benedict Evans' look at mobile messaging apps shows an even more astonishing figure: In the last two years, BlackBerry has been eclipsed by, not only Instagram, but also texting app Whatsapp.